While searching for new skincare and bathing items for my six year old daughter to use I found the website TruKid. They carry all natural body care products for children, BPA and phthalate free! Not only are their ingredients certified organic and natural but they are also free of sls, paraben, petroleum and gluten. I really like that they make sure that their products are safe for just about any child. I looked forward to trying just about anything they had and was fortunate that they wanted me to review their Silly Shampoo and Dancing Hair Detangler! Once the products came in I couldn't wait for my daughter's shower time. She was just as excited to try the Silly Shampoo all by herself. There was a great lather and no tears from her, which is important to me, her eyes seem unusually sensitive to shampoos. She was able to wash and rinse by herself with no traces of Silly Shampoo left in her hair. Because her hair tangles very easily, I used the Dancing Hair Detanlger afterwards. It worked pretty good and wasn't greasy or sticky, like some other detangler's we have tried in the past. The only thing I would have different is maybe a scent to the detangler, but that's a personal preference, I know there are plenty of mom's and children that would prefer that there be no scent at all. It was nice to know I was using something on my child that was safe and wasn't going to have any harmful chemicals. Let me tell you a little bit more about TruKid products. There is Silly Shampoo, Cool Conditioner, Dancing Hair Detangler, Helping Hand Wash, Happy Face & Body Lotion, Bubbly Body Wash and Friendly Face Wash. They also offer sunscreen for babies (6 months and older), children and adults as well. Navigating through the TruKid website I actually learned some things that were impressive. I don't know many companies that would be willing to share all the ingredients in their products and then give you a glossary of what those ingredients actually are, but TruKid does that under What It Is. That's not all though they go even a step further to tell you what the ingredients do in What It Does! How cool is that?! There are other parts on their site that are really cool but I'll let you go take a look for yourself. 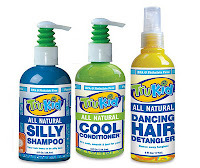 TruKid has generously offered a Silly Shampoo and Dancing Hair Detangler to giveaway to one of my readers. It gets even better! 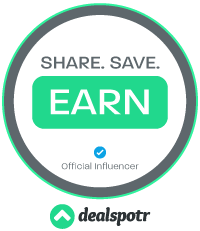 If you purchase $35 worth of product you can use the code SILLYMOM to receive a Silly Shampoo for free! Only one (1) code per customer.